Kiki Smith is a German born artist who now lives and works in the United States. She started as a sculptor in the 1970s. 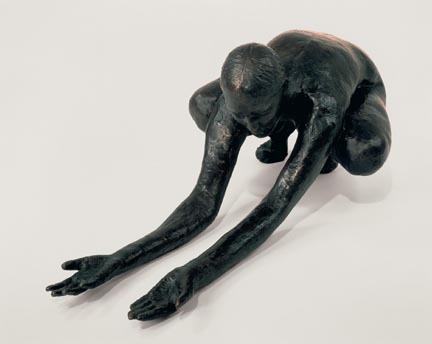 She is best known for her sculptural work but has worked in a variety of media. In the 80s she began working with prints many of which can be seen here. Over the years she also has worked with a variety of different themes: politics, feminism and other social issues such as AIDS. She has been collected extensively throughout the United States and the world. I saw one of her works at the VMFA. The sculpture, known as Ice Man, which was inspired by the 1991 discovery of a man from the Stone Age frozen in a glacier. It is embraced by life and the importance of life even in his lifeless form. The disfigured figure work may also have something to do with her response to AIDS.